Harry Taylor, a graduate of St John's College, Oxford, became Headmaster in 1951. Avuncular but authoritative, he was to guide the School through an important period of its growth over the following 22 years. A historian himself, he derived enormous pleasure from the rediscovery of the School Charter in 1952, soon after he arrived; as a great cricket-lover, the opening of the new Cricket Pavilion six years later was also an occasion of great pride. He retired in 1973 but worked for the British Council for several years, giving help and advice to foreign students in Huddersfield; he also transcribed several volumes of the Almondbury Parish registers. In his spare time, he claimed to grow the best chrysanthemums in Huddersfield. 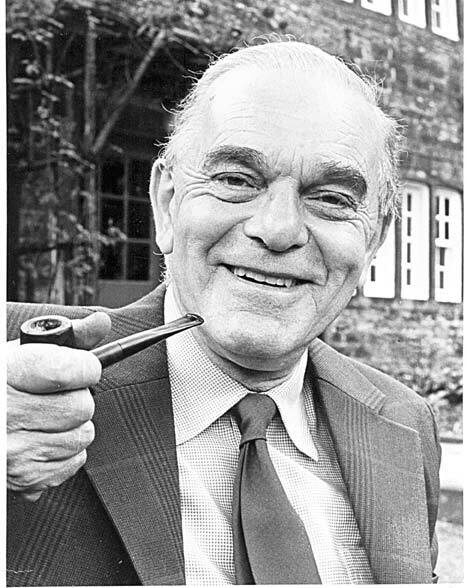 Harry Taylor's final Speech Day took place on 6th October 1972. At the time, the School's future was seriously in doubt, and he spoke movingly about this - and the School's many achievements - in his speech on this occasion. Click here to listen to the Speech.